After having an amazing experience with Olor Deodorant Spray. 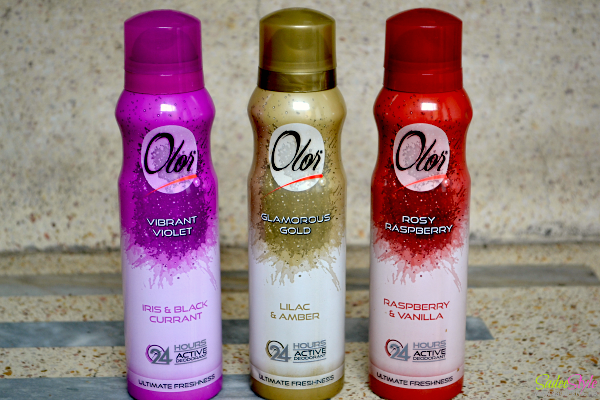 I'm finally reviewing three new fragrances by Olor launched lately. 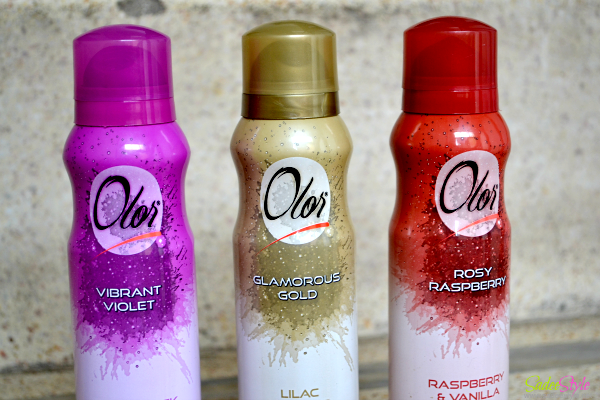 Olor recently released it's three new variants follow by Vibrant violet, Glamorous Gold and Rosy Raspberry. Olor claims 24 hours active deodorants with ultimate freshness. All of them smell pleasant and very fresh although some of them have very strong smell but scent is no doubt very sweet and lovely. Norway based brand Olor comes in a vibrant colorful containers. I like Olor deodorant range completely works and dries so fast. It instantly dries after spraying and leave very fresh feeling throughout the day. Vibrant violet is a combination of iris & black currant notes, probably a quite high notes for me and for the ones love light fragrances. Glamorous Gold is my favorite among of them due to it's very light lilac and amber notes those feel very delight and fresh. Rosy Raspberry is special made for food lovers with the raspberry and vanilla notes. Overall I had a lovely experience with all of them. A spray nozzle is a bit tricky I found myself struggling quite a bit trying to find the right area to press it. Al thought fragrances are on high sides but I can actually tell how wonderful I smell throughout the day and I love them. It's long lasting than perfumes and random body sprays. It's very subtle and you will just smell fresh, not doused in scent and freshness remains for the whole day without fading. Available on all leading stores nationwide. It's one of the most affordable spray in Pakistan these are for healthy smell lovers if you are tired and bored of wearing light fragrances than its not for you.